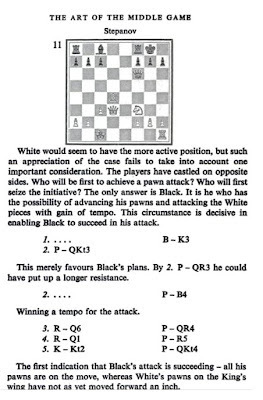 Superb guide to important area of chess. They cover attacking the king, defense, importance of pawn structure, analysis, much more. IM Jeremy Silman said he first bought this book in 1973 and still owns it today. The first section is by Golombek is pretty much worthless but when Kotov writes about "Strategy and Tactics of Attack on the King" and "Various Pawn Positions in the Center" you have something worth reading. But the real meat of the book is Keres’ sections on "How to Defend Difficult Positions" and "The Art of Analysis." Worthy of note is Silman’s comments on "The Art of Analysis." He says it is for senior masters, IMs, and grandmasters! 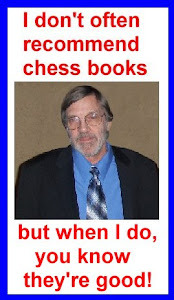 IM John Watson agrees with Silman stating, “Of those older 'popular' books, two which can be gotten on the cheap and I would recommend are: The Art of the Middlegame, by Keres and Kotov. I've never met a player who didn't enjoy this book.” The other one was The Most Instructive Games of Chess Ever Played, by Irving Chernev. For the price you can’t beat this little book.